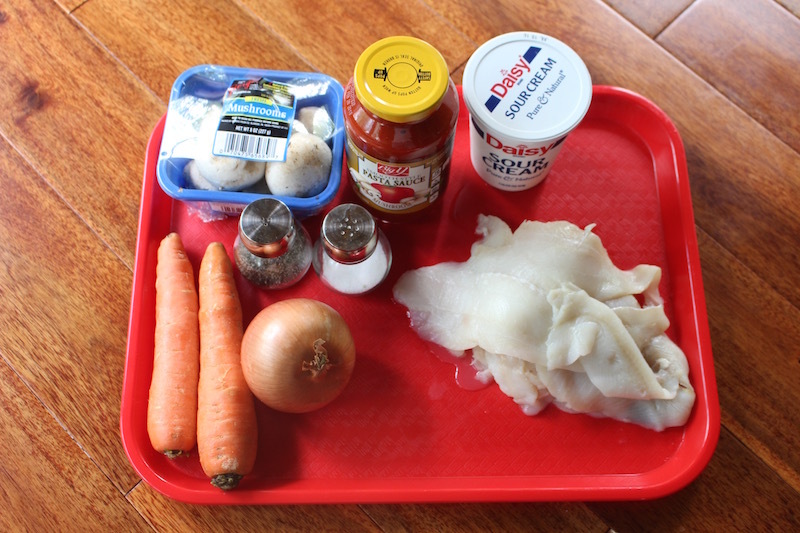 Fish with vegetables is a great combination and tastes fabulous If you enjoy and like eating fish you have to try out this awesome recipe! 1.) Wash and dry your fish and vegetables. Also peel your vegetables. Shred your carrots, onions and slice your mushrooms. In a large pre sprayed glass baking pan add your fish, place all of your other vegetables on top of your fish and seasoning.Mix together well. 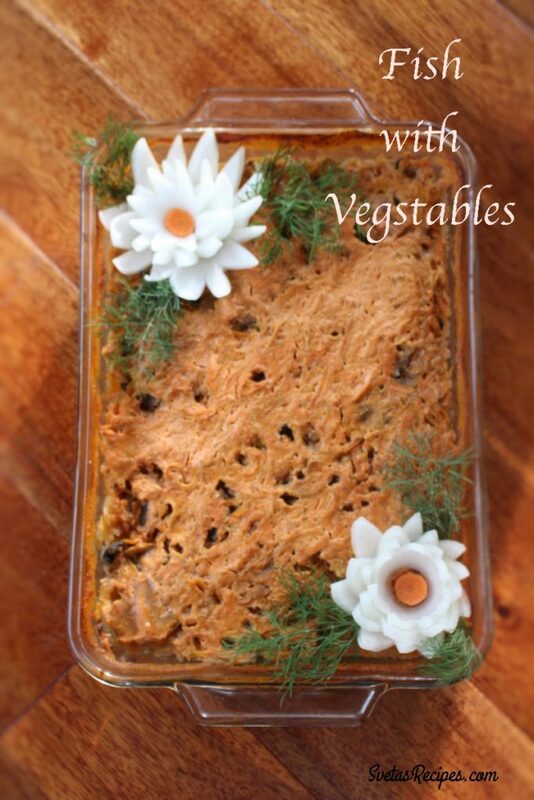 (Only your vegetables not fish) In a spirit bowl add sour cream, tomato sauce and mix well. After pour your sauce on top of the vegetables and spread it out equally. 2.) Cover you’re baking pan with tin foil and cook 15 minutes on 400F then lower it to 350F and cook for 45 minutes. Remove your tin foil when there is around 10 minutes remaining. Place on a serving dish and enjoy! Wash and dry your fish and vegetables. Also peel your vegetables. Shred your carrots, onions and slice your mushrooms. In a large pre sprayed glass baking pan add your fish, place all of your other vegetables on top of your fish and seasoning.Mix together well. 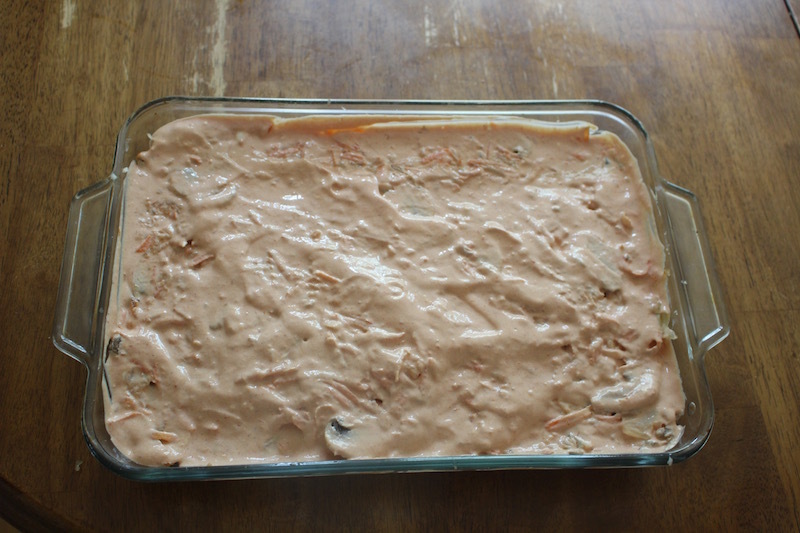 (Only your vegetables not fish) In a spirit bowl add sour cream, tomato sauce and mix well. 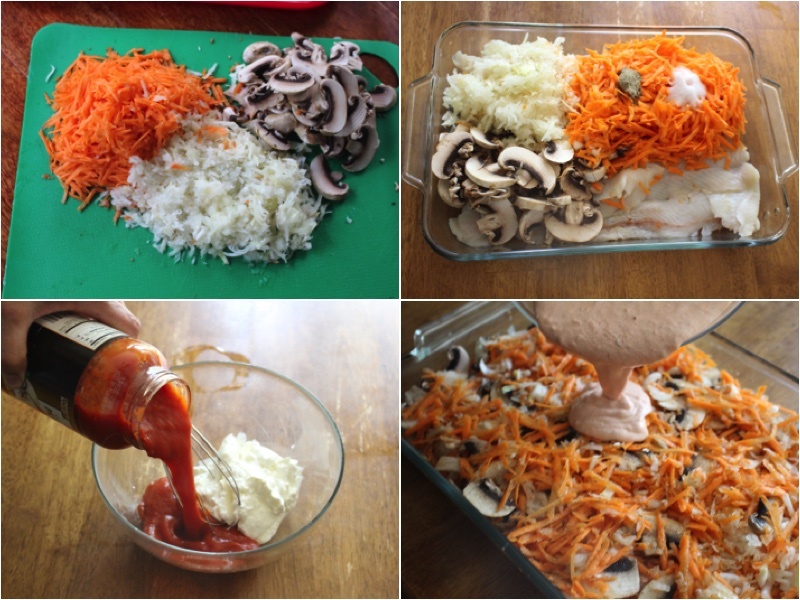 After pour your sauce on top of the vegetables and spread it out equally. Cover you're baking pan with tin foil and cook 15 minutes on 400F then lower it to 350F and cook for 45 minutes. Remove your tin foil when there is around 10 minutes remaining. Place on a serving dish and enjoy!